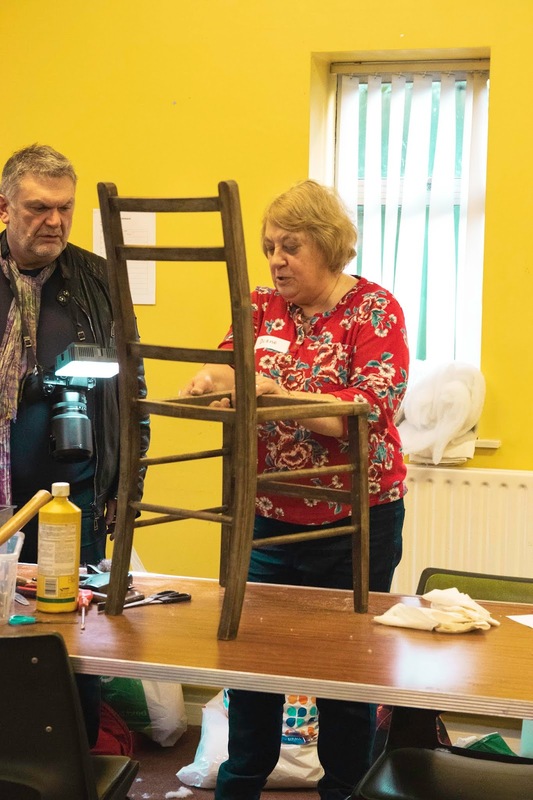 Recently I've seen more and more fixing and repair cafes pop up on my radar, I've known they exist but never thought of visiting them myself. Part of it is because my parents are both pretty capable fixers themselves, they can both sew, they're both pretty good at carpentry, my mum have tried every creative art under the sun (she's currently into blacksmithing), and my dad is alright with electrics. But generally if they can't fix something I break it goes in a drawer to gather dust or gets thrown out. And I think most people are of this culture, people either fix within their means or don't fix at all. 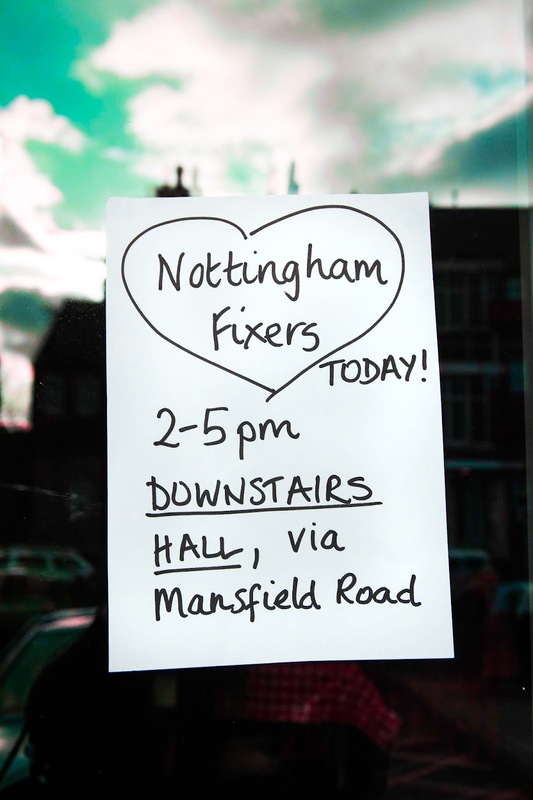 But recently, through Nottingham Zero Waste Collective, I heard about Nottingham fixers. Being at uni without a sewing machine means I can't fix my own clothes, so went along to get some stuff fixed and finally have some first hand experience with fixing cafes. 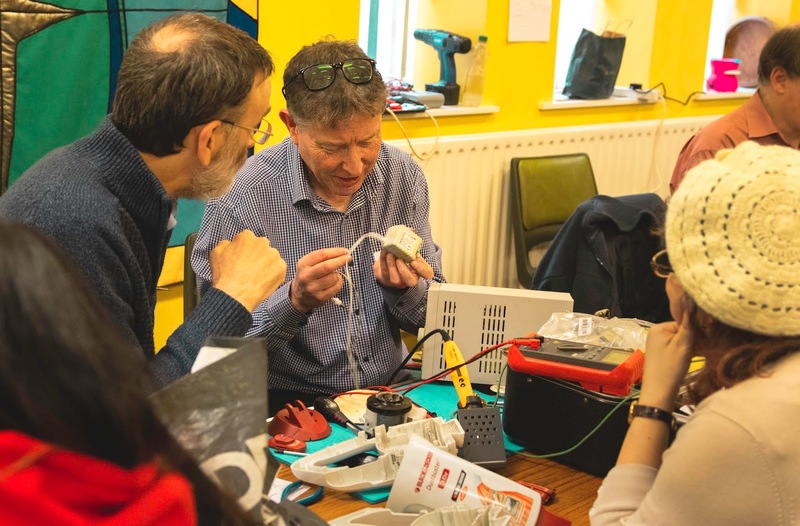 But first let's talk about fixing and repair cafe's in general, why are they so great, and why do they seem to be catching on? We live in a throwaway culture, there is no denying this, when something breaks we throw it away. Even when we want things fixed we often take them back to the store and have to buy a new one because they're beyond repair or cost more to fix than to just buy new again. This is a massive problem, especially with electronics as most of the materials that we use in everyday electronics are precious metals and they're in massive decline, there's a really finite amount of it out there. Plus for most metals you need a huge amount of energy to extract them from the ground and form them into something usable. All of this leads to more energy use, more pollution, more stuff in landfill. Not good. But people just don't think to repair stuff, if you take your old TV to a specialist it will probably be cheaper to buy a brand new TV than to get the parts and pay for your repairers time. 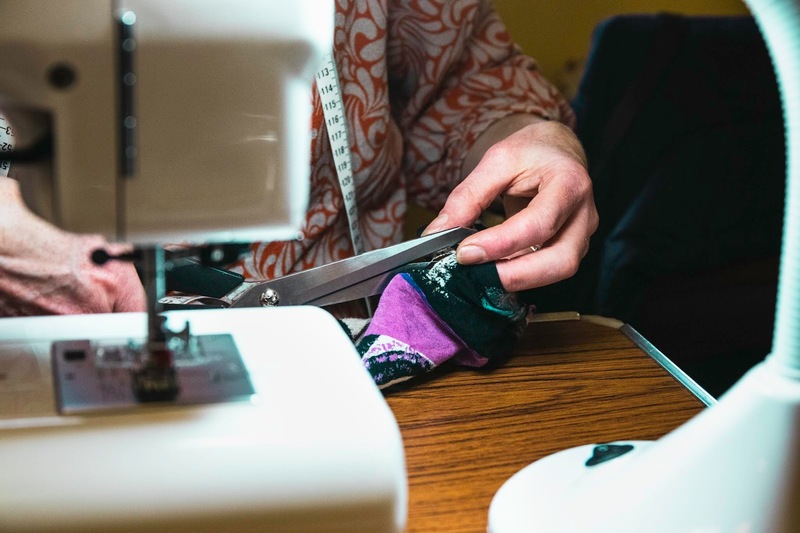 Plus with clothing, not that many people know how to sew anymore, and if you're paying the low prices for fast fashion then why are you going to pay to get things fixed when you can buy brand new, more in fashion stuff for the same price? You also have to think, why is it cheaper to buy new things than to get them repaired? This doesn't really make sense. Surely there's a lot more resources and time that go into making something from scratch than just trying to replace a few parts. This is true, but it comes down to who's time is being used and the imbalance of labour prices. When you buy something new you're paying for someone on the other side of the world's time, someone likely being paid pennies an hour to make your phone, your clothes, your furniture. But when you go and get your stuff fixed it's someone who is getting paid a reasonable wage, who's time is worth more purely because they live where you live. This is despite the fact that new items are often shipped back and forth across the globe before they even make it to be sold to you. We're also obsessed with new, the latest, it seems much more satisfying getting a package in the mail with your new jeans in, or sitting in the living room with your new TV than it does to come home with something that's been repaired. For most people anyway. So if this is all true why are repair and fixing cafe's still going? Well firstly they're free, people with fixing skills will volunteer at Fixing cafe's to fix your stuff eiht no cost to you, it's about community, helping the environment, and saving people money. Win, win, win if you ask me. Secondly I think people are more becoming aware of the world we live in and the fact we need to start tackling throwaway culture and actually start fixing our stuff if we want to try and help the environment. It is not sustainable to keep buying new things all the time. A lot of the people I met at Nottingham fixers were interested in sustainability, some were campaigning for better recycling in their free time, other made art out recycled material. These were all people who were conscious about the environment and so these definitely aren't fully in the mainstream but they are growing. We can also very much change out mindset so that coming home with something fixed rather than having to go and buy a new one is more fulfilling to know you've made an impact, and saved yourself a few bucks. The reward centres in our brain are activated when we buy something new, a shot of dopamine is activated, which fades quite quickly after purchase, then you want to buy something else. But by changing our mindset so that our reward centre is triggered when we get something fixed or find a way to save material and resources we can make fixing just as satisfying and break the cycle of the constant need for new. Back to my experience at Nottingham Fixers, chaotic but positive are probably the words I would use. It was extremely busy, busier than anyone expected it to be. 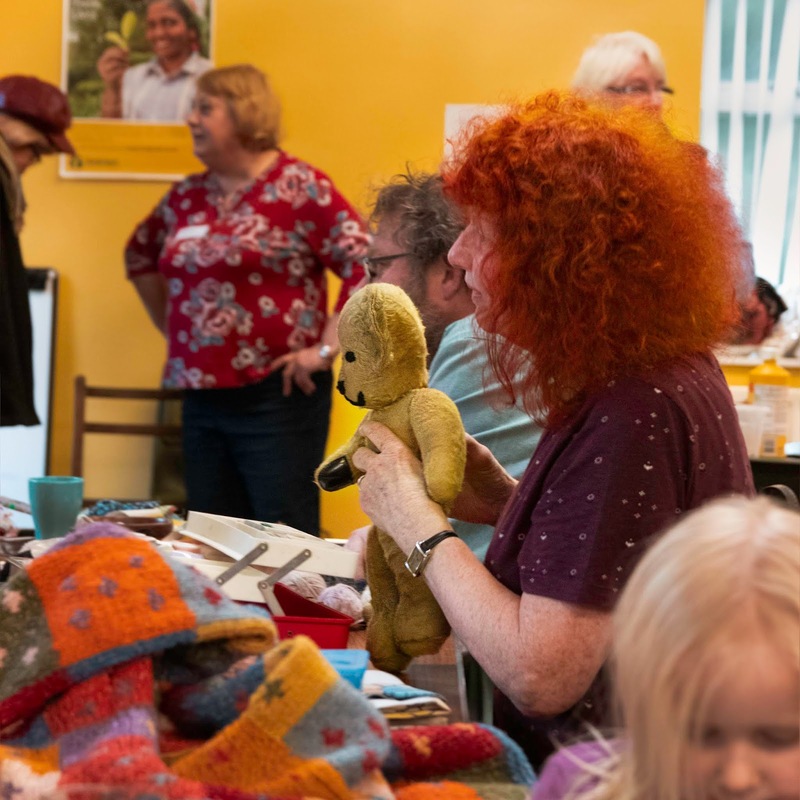 There was a pretty long wait to get my stuff fixed but as it was being done for free I wasn't particularly bothered but this tiny church hall basement was overflowing with people. Most people were there for electronics, I saw a guy walk out with a 30" TV, but there were also jewellery fixers, lots of sewing, a furniture repairer, a clock-maker, and even a basket weaver. It was wonderful seeing so many people with the skills that aren't celebrated as much anymore all in one place helping people. I probably waited around an hour to get my stuff fixed and in the meantime bought a flapjack and stood to watch the busy space around me. I enjoy people watching so I was having a good time. Basically I'm a big fan, I think the next events need to be bigger or more frequent so that things are a bit easier on everyone involved than they were last weekend. I am also thinking of trying to run an event at my university to get more younger people into the idea of fixing things, as whilst at Nottingham fixers I only saw one person my age. I think it's also important to encourage people at a young age to form habits that will stick later on in life. So we've established they're pretty useful, how can we keep them going? Well, attend them, support them, make your own! Promote fixing things instead of throwing them away, if your friend owns something that could easily be fixed but is looking for a new version see if there's a fixing event in your area, it'll save money and help the environment so you can feel good and choose to spend your money on something more fun! 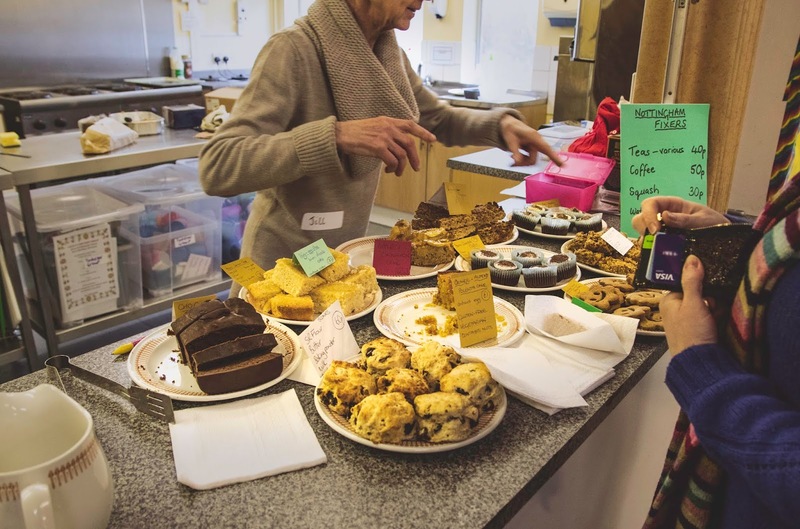 Have you ever been to a fixing Cafe? What was your experience? Let me know what you think in the comments! 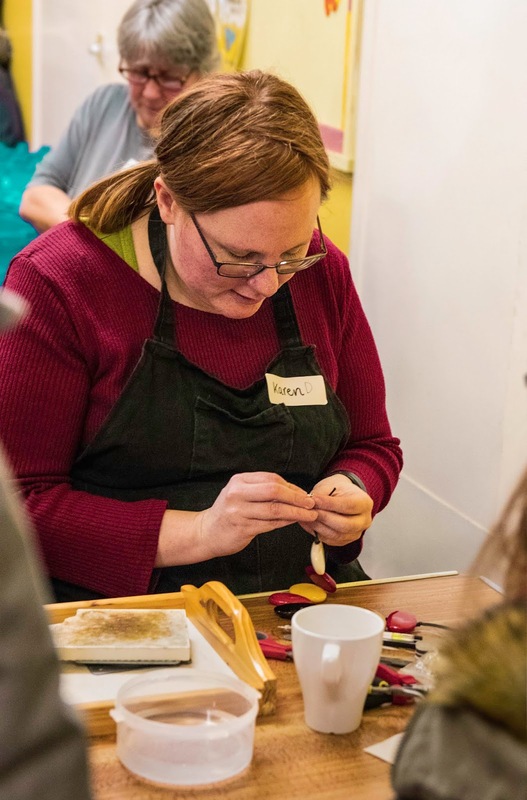 Nottingham Fixers is a bimonthly event, the next fixing cafe is 6th April 2019 so if you're in the area come along.